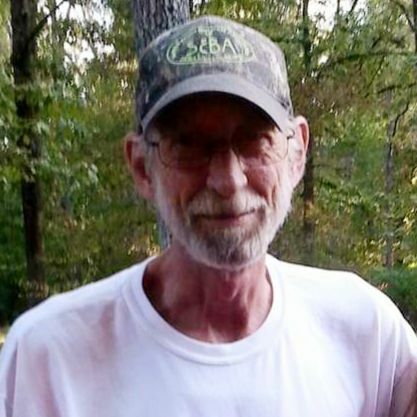 Funeral services for Lonnie Weathington, 64, of Hokes Bluff, who passed away on November 24, 2018 will be 11:00 AM Wednesday, November 28, 2018 at Glencoe-Hokes Bluff Chapel. Rev. Adam Thorton will officiate. Burial will follow at Old Harmony Cemetery. Glencoe-Hokes Bluff Funeral Home & Cemetery is in charge of the services. Lonnie was a 1971 graduate of Etowah High School. He was employed for 20 years with Honeywell as a tool and Die maker. He loved playing Blue Grass music and spending time with his grandchildren. Lonnie was of the Baptist faith. He is preceded in death by his parents; Ralph and Clara Garmon Weathington and brothers; Bobby and Jimmy Weathington. He is survived by his wife of 43 years; Donna Kay Weathington, children; Brian Weathington and Keith Weathington, grandchildren; Olivia, Emma and Brodie Weathington, sister; Kathy Hopper, brother; Tony (Linda) Weathington, sister-in-law; Donna Weathington and numerous nieces and nephews. Special thanks to Hokes Bluff Police, A-Med Paramedics and the ER staff at Gadsden Regional Medical Center. The family will receive friends from 5:00 PM to 7:00 PM Tuesday, November 27 at the funeral home.